Invited talk "Big Data and Exascale Systems — Challenges and Opportunities", 1st International Workshop on the Strategic Development of High Performance Computers, Tsukuba, Japan, (Link). Interviewed by Tom and Tony from Tasty Trade, a real financial network (Link). Appeared in the McCormick Fall Magazine article on the Data Age. VivaKi Inks Deal with The Echo System & Voxsup for Exclusive Access to Social Data & Buying Platform! Link to Announcement at Yahoo! Link to presentation on YouTube. Appeared in Northwestern Research Newsletter, September 2012. 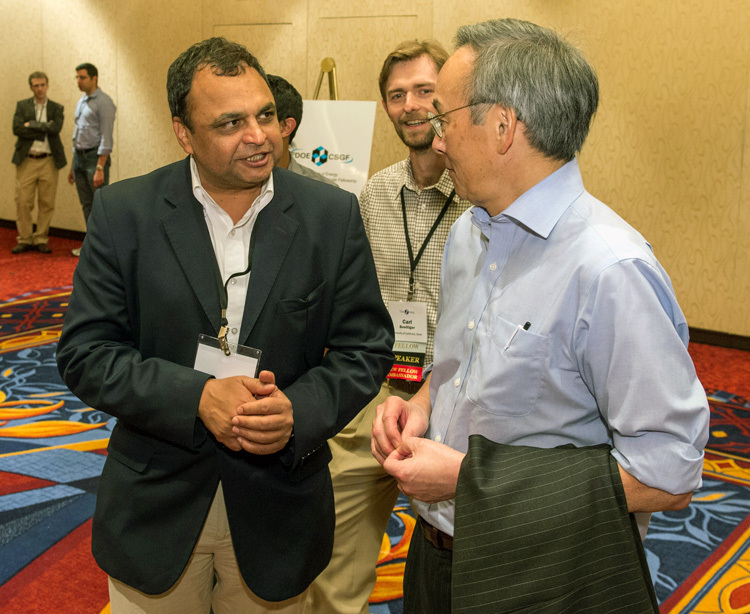 Alok Choudhary (left), electrical engineering and computer science, met with United States Secretary of Energy Steven Chu at the 2012 Department of Energy Computational Science Graduate Fellowship Annual Conference, July 26. 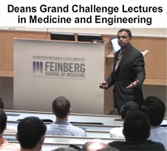 Choudhary gave the keynote address: "Discovering Knowledge from Massive Networks and Science Data - Next Frontier for HPC." Dr. Choudhary w/ Secretary of Energy Dr. Steven Chu at the Department of Energy Computational Science Graduate Fellowship Conference, July 26th, 2012. 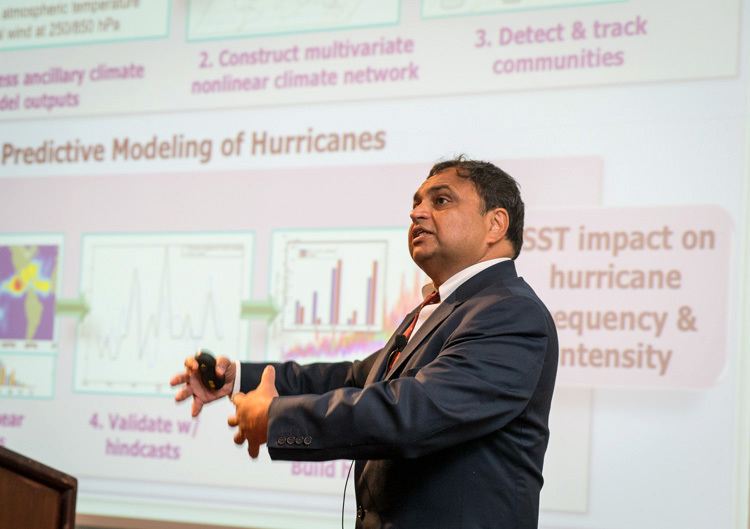 Dr. Choudhary's Keynote at the Department of Energy Computational Science Graduate Fellowhip Conference, July 26th, 2012. Invited to give Keynote address at the Department of Energy Computational Science Graduate Fellowship (DOE CSGF), Arlington, VA, 7/2012. Keynote speaker at the International Symposium on Cluster, Cloud and Grid Computing (CCGrid 2012), Ottawa, Canada, 5/2012. International Exascale Software Project, Kobe, Japan, 04/2012, (Agenda). "HPC must ramp up efficiency to deal with extreme-data flood", 03/2012, (Article). SDAV (Scalable Data Management, Analysis and Visualization) was formally announced March 29th as part of the Obama Administration's "Big Data Research and Development Initiative". Dr. Choudhary is a PI on the DOE SDAV initiative. Exciting News! White House Invitation. Received an invitation from the White House and will attend the Big Data Event on March 29th in Washington DC. The purpose of the Big Data Event is to address the challenges and opportunities relating to "Big Data". Specifically, the Big Data Event provides the opportunity to learn about several new federal efforts relating to big data and to provide a discussion forum where leaders from government, academia and industry can work together on this important challenge. Recognition of DOE (Department of Energy) supported research through the NSF (National Science Foundation) Expeditions program on climate science problems. 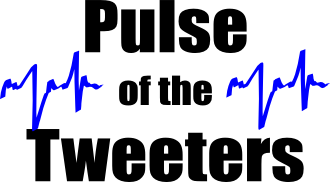 The results of this research will be featured in an advertisement by North Carolina State University in the Chronicle of Higher Education and will be published as an article on the DOE (Department of Energy) website. Dr. Choudhary and Dr. Nagiza Samatova have been invited to present this work to the ASCAC (Advanced Scientific Computing Advisory Committee) of the DOE, 03/2012 (Presentation) . "Discovering Knowledge from Massive Social Networks and Science Data - Next Frontier for HPC", (program) (abstract). "Discovering Knowledge from Massive Data and Social Networks". "Developing Scalable and Power-Efficient Data Mining Kernels"
"Discovering Knowledge from Massive Social and Science Network Unstructured Data".